Action shot! 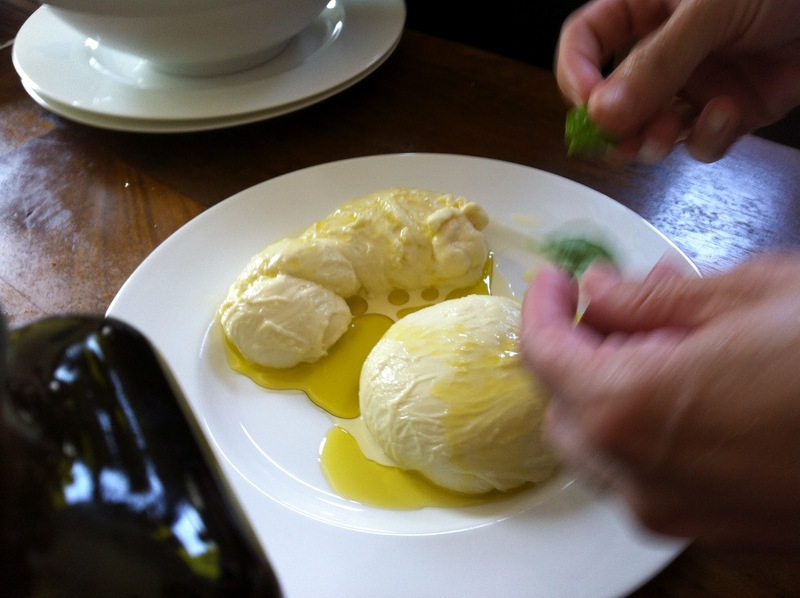 A few months back, food52 invited its readers to get together to make mozzarella. Then they sweetened the pitch by throwing in a free gift of two enormous bottles of outstanding California Olive Ranch olive oil to the first 30 people to volunteer to host a mozzarella pot luck. Lucky for us, Austin-area food52er Molly volunteered to host in her gorgeous home. 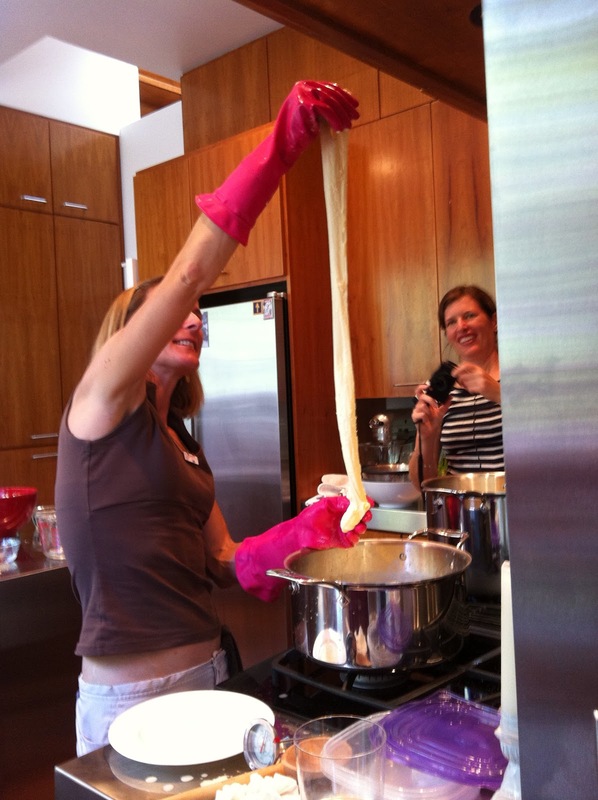 So today, a group of Central-Texas-area food52ers got together to make mozzarella and eat a lot of food. I brought one of my current favorites- fried brussels sprouts in a fish sauce vinaigrette from the Momofuku cookbook. 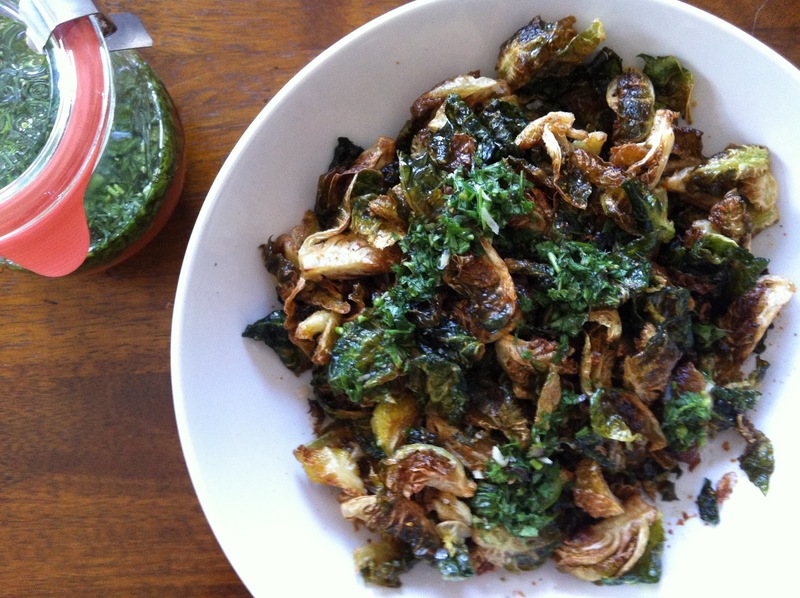 If you think you don’t like brussels sprouts, I encourage you to try this recipe. It’s outstanding. And the fish sauce vinaigrette is great on everything- I used some tonight as a sauce for roasted chicken. 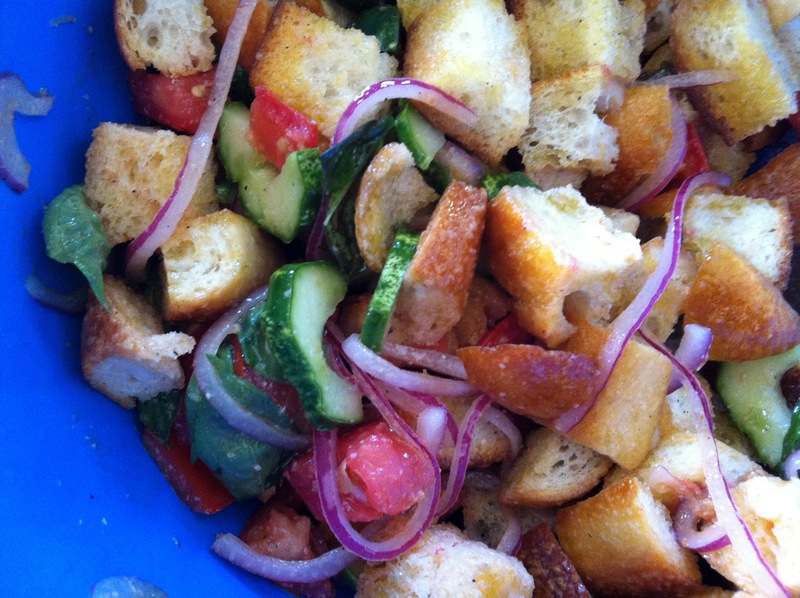 I also brought my first-of-the-season panzanella. The cucumbers are from my garden! The basil is too, but that’s not as exciting as cucumbers. 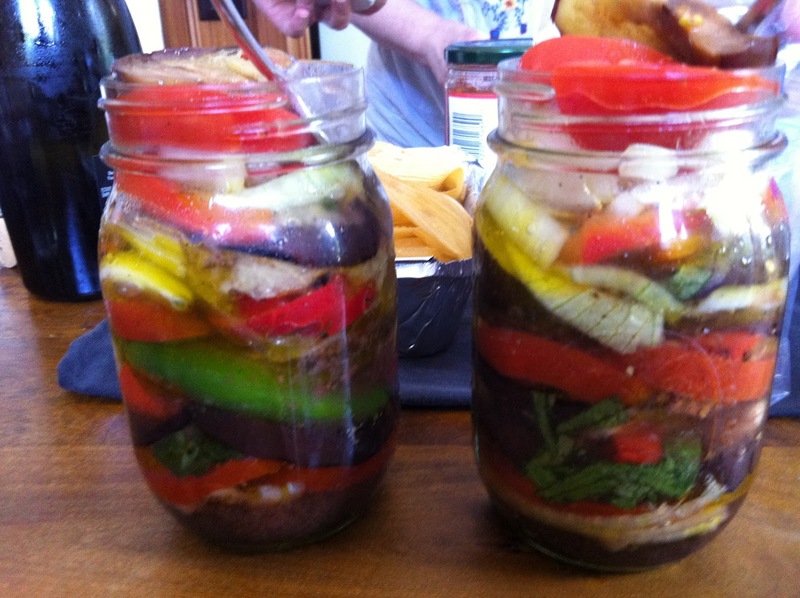 I used the vinaigrette from this recipe, and tossed the tomatoes, cucumbers, red onion, and basil with bread cubes that I crisped in the oven with olive oil and kosher salt. It’s one of our favorites. 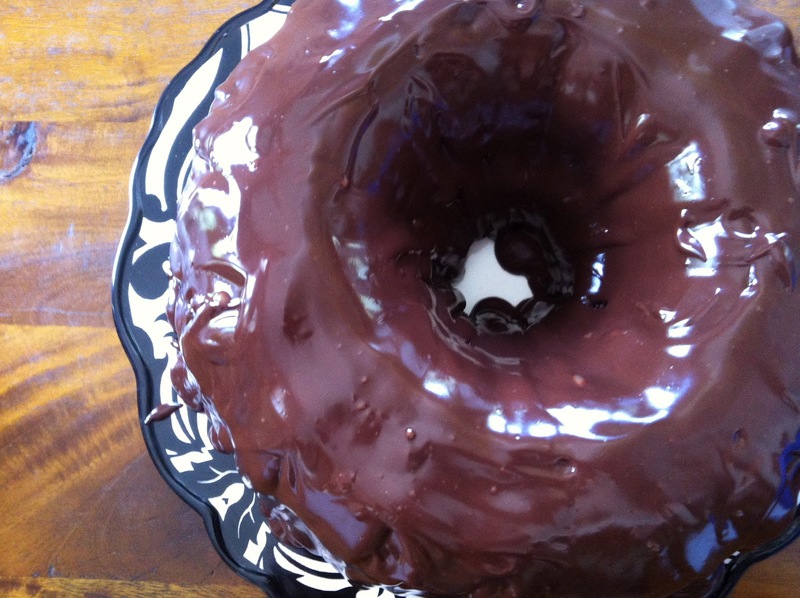 Nannydeb’s chocolate cake with coconut filling and ganache!! Double exclamation points for a double-y delicious cake. To wit: I got to take a big slab home with me, and Andy, Henry, and I each had a piece for dessert. Henry fastidiously pinched up every last crumb with his little thumb and index finger, and when he’d eaten the last he started clapping. No lie. A beautiful olive bread! I think Abbie made this, but I’m not certain. Wherever it came from, I loved it. Kimberly brought a gorgeous blueberry pie- it was probably the best I’ve had. 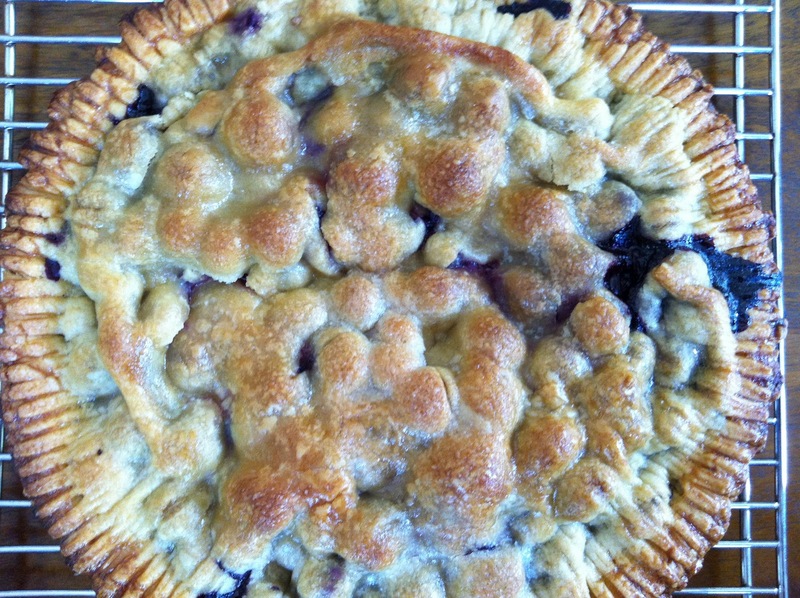 The blueberries were soft but still held their shape in a beautifully thickened, not-too-sweet filling. 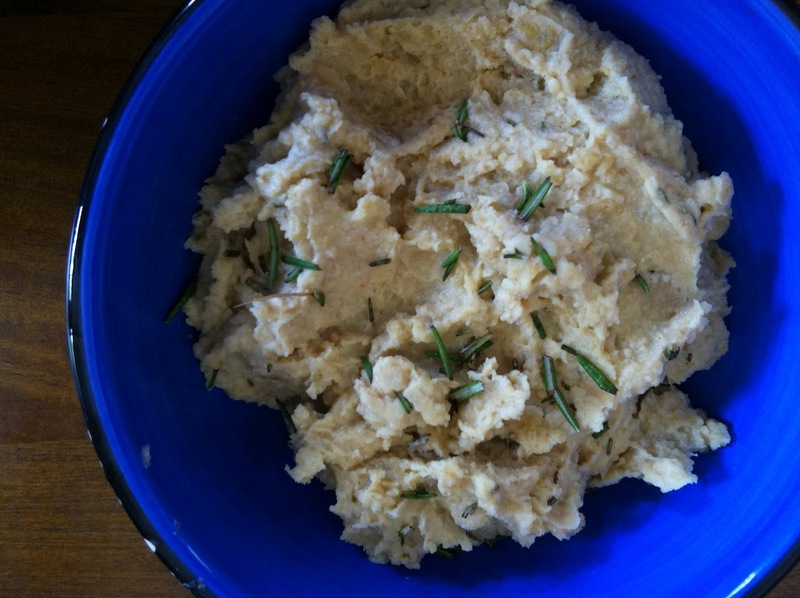 Sonja brought this delicious hummus, which is enlivened by roasted chickpeas and horseradish. I ate quite a bit of it! Abbie also brought her famous marinated garden. This stuff is addictive, especially when it’s filled with produce from Abbie’s backyard garden! 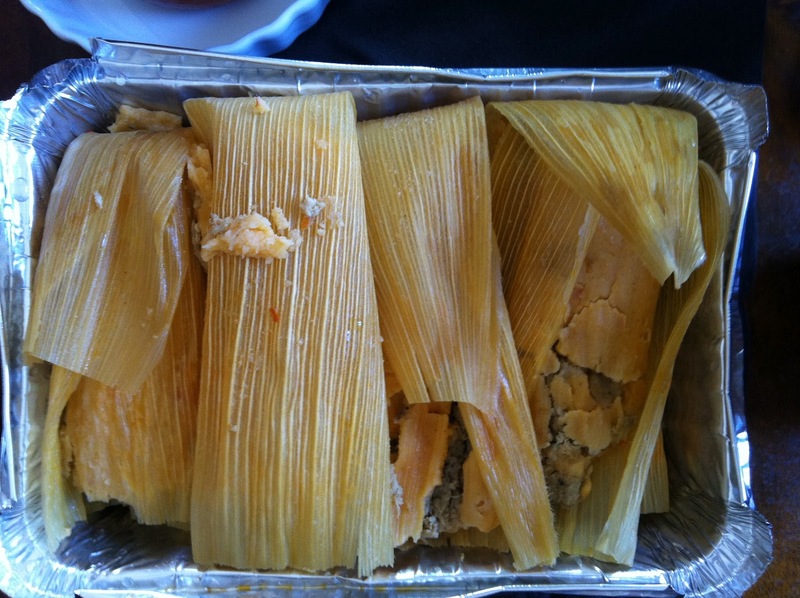 Debby brought tamales from La Hacienda in San Antonio. Amazing! I had the chicken ones and loved them so. 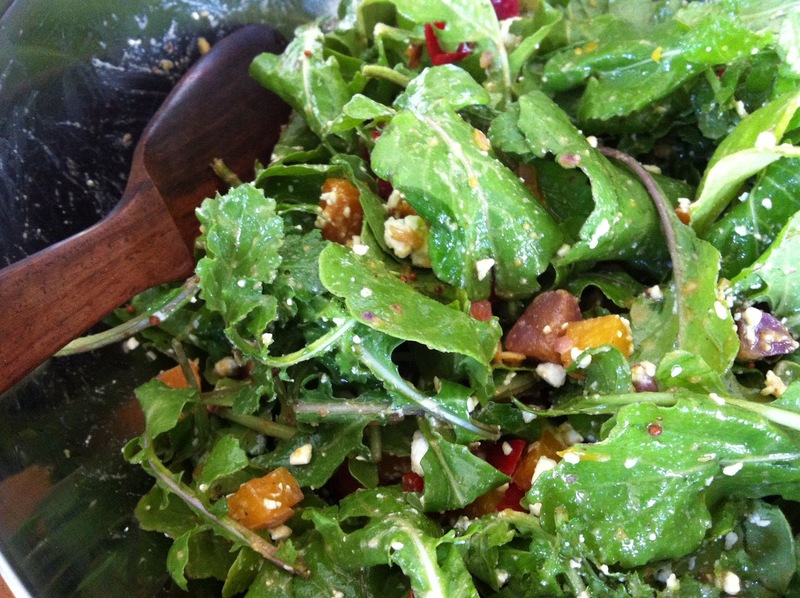 Ginny brought a fantastic arugula salad featuring the genius lemon caper dressing from food52. Ginny has a totally adorable family and is a fantastic cook. 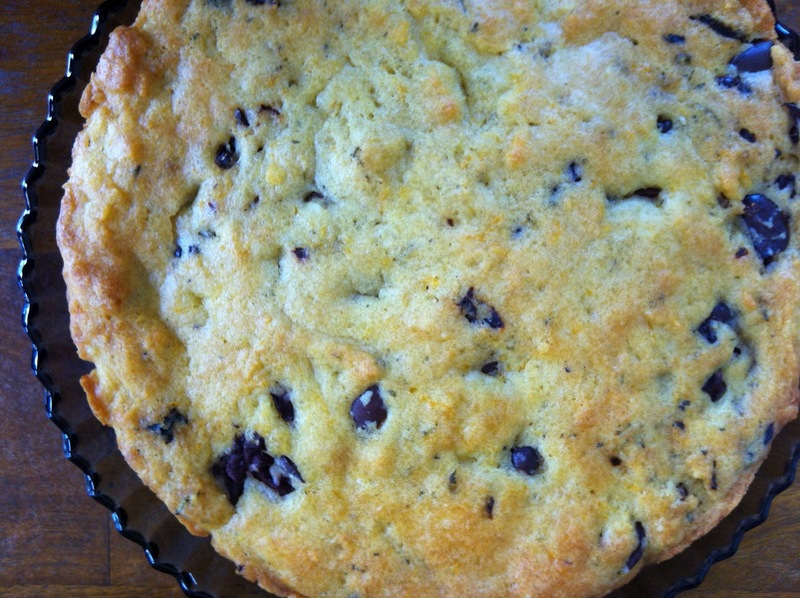 Check out her blog, Ginny’s Kitchen! After our potluck, we got down to the business at hand. 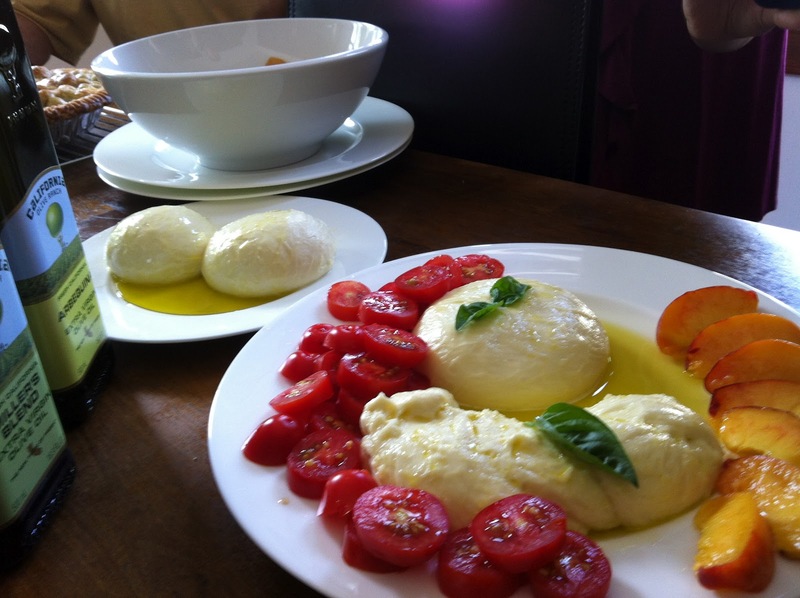 Molly bought five gallons of low-heat pasteurized milk from the farmers’ market, and we turned it all into mozzarella! One gallon of milk will make about a pound of cheese. You can learn how to do it here. The process is really fairly simple, and it’s completely magical to turn milk into cheese in the span of about 15 minutes. We warmed the milk, added citric acid to curdle, warmed it some more, added rennet to coagulate, warmed to 105 degrees, and then let it sit for 10 minutes undisturbed. After that, you keep it warm (by microwaving or dunking it back into the hot whey) and knead it for 5 or so minutes until it’s smooth. Here’s Ginny with an impressive stretch! We did it! The finished product was really wonderful. Soft and buttery-rich. We made five batches and some came out better than others, for reasons I’m not too clear on. The batch on the plate with tomatoes and peaches was my favorite. It was softer than the others (we may have used a bit less rennet? ), and was actually heated using the microwave method, so salt was added directly to the curds instead of to the heated whey. The direct salting made that batch more flavorful too. It was a grand time, with some really delicious eats. Thanks to Molly for hosting! SO FUN! Your pictures are great!!! Thanks Abbie! Have so much fun in France!! Great pictures! What can we learn next? This looks like it was a blast! Great fun to read and see – and I was there! love it! that was so much fun–I am glad I have friends I can make cheese with 😉 Keep in touch! thanks, Bevi! it really was! haha! thanks, Debby! it was great to see you again and meet your very cool daughter! oh me too, Ginny! thank you!